eJManager is an Online Manuscript Submission, Review and Tracking System for scolarly journals, publishers, associations, and societies. Infact our studies about online publishing system were started in 2002, but we used our online system for our own journal. 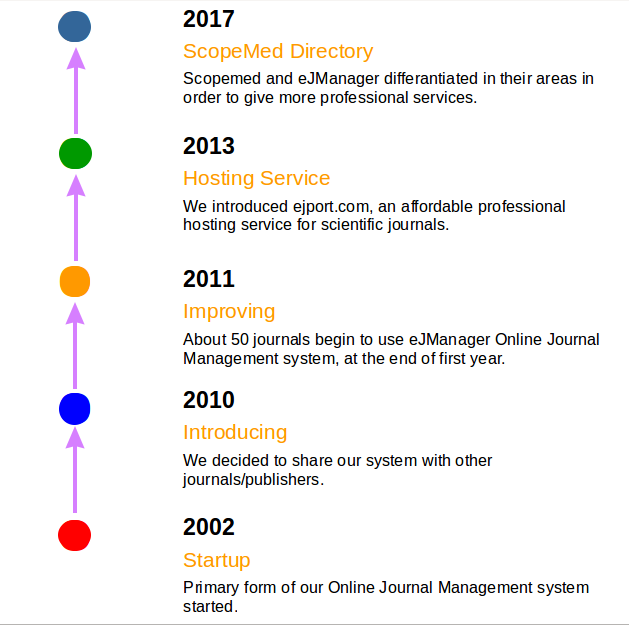 During 2010, we decided to support the journals that could not effort to buy Online Journal Management system, and introduced our Online Journal Management System. At present, we are one of the most comprehensive and functional Online Journal Management System, and our PRICE still is the BEST. We know your needs, because we also require and want the same things for our journals.